Take Action: District Meetings on Truth-in-Lending! The Goodies – This week’s highlight is to have your Latino clients fill out the Stanford Latino Entrepreneurship Initiative 2018 Survey of U.S. Latino Business Owners. FIELD’s microTracker census is open! 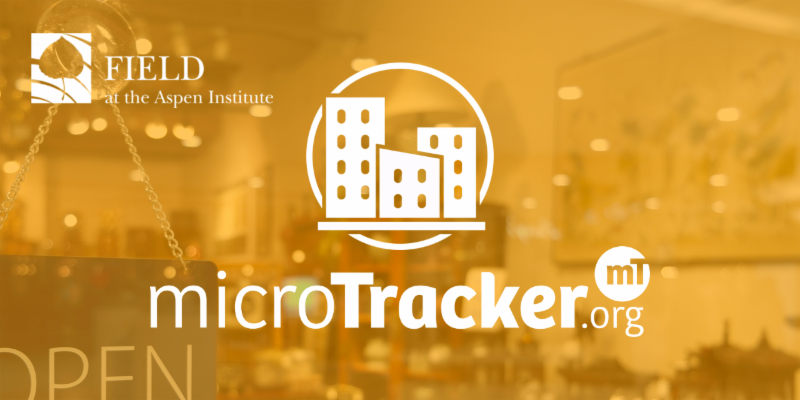 CAMEO partners with FIELD at the Aspen Institute to conduct a census of California’s microbusiness programs using the microTracker platform. Your impact data proves your value to your funders and constituents and helps you to build the best organization possible. So gather your info and log in. From CAMEO: if you fill out the Census, CAMEO will treat you and your staff to a free lunch. Email Andrew for details. We receive many emails thanking us for the solid information that is presented in the Must Know. Do you know someone who should be receiving our weekly newsletter? It’s full of professional development opportunities, bite-sized policy updates to keep you in the know, latest reports on small business credit, funding announcements, conferences, and much more – all in one place. Take the Summer challenge and get five people to sign up for CAMEO’s Must Know and I’ll be your new best friend. Seriously, help us grow our network and engage more organizations and staff members and we will be eternally grateful and you’ll earn good karma points for helping to expand the influence of the microbusiness sector. Since you signed up, you do want to hear from us. Avoid CAMEO email going to your spam folder. Add CAMEO to the safe sender list per your email provider. Read our last two blog posts that were featured in recent newsletters. “Prosperity Now’s 2018 Scorecard: A Look At California’s Metro Areas” – a look at Los Angeles, San Francisco, San Diego, San Jose. California has a new hiring tax credit. However, according to the Franchise Tax Board (FTB) data, this credit has been severely underutilized due to numerous limitations. As a result, the FTB, Legislative Analyst and Governor have proposed substantial changes to the hiring credit. AB 916 is an alternative and replacement of the current hiring credit with a California WOTC. The state version would mirror the federal statute and utilize the existing processes and infrastructure that facilitate the successful federal WOTC. Your clients would be eligible for tax credit if they hire individuals with poor work histories or who are otherwise stigmatized creating a barrier to participation in the workforce. The bill will be heard on August 8, 2018, in the Senate Governance and Finance Committee. Download the sample support letter, put on your letterhead, take a couple of minutes to edit and send to Toni Symonds by July 31, 2018. And one more action to take: CalNonprofits is on record urging the legislature not to pass AB 888 to extend these raffles until the Department of Justice conducts an audit of the practices and impacts of the last two years of 50/50 major league sports raffles. Please join CalNonprofits, the American Legion of California, and the Tribal Alliance of Sovereign Indian Nations in opposing this bill. (Click the link to add your organization’s name to the letter) by tomorrow, Friday, July 27, 2018. Member Kudos / For Your Clients: CDC Small Business Finance developed a primer for small businesses who “Want to Get an Online Small Business Loan?” It’s a great resource to share with all your clients! Member Kudos: Deborah Muramoto is featured in the California Treasury new CalSavers promotional videos. Funding Opportunity: Applications are open for AEO’s Tapestry Project. The project includes two opportunities: 1) Tapestry Project Innovation Registry (TPIR) will register your project to help broaden the reach of your organization’s work to funders, investors and other potential collaborators; and 2) the Tapestry Project Action Lab will support collaborative funding contracts, with awards of up to $50,000, organized around a shared business development objective that addresses the interlinkage of the three barriers for Black businesses reaching their potential. Click on the website for more details including informational webinars on July 23, July 26, and August 2. The deadline is August 7, 2018.